Many financial institutions experienced record earnings in 2018. The one-time impact of the new tax law coupled with continued improvement in both asset quality and loan yields more than offset the rising cost of funds banks experienced in the second half of the year. In 2018, The Federal Reserve continued to tighten monetary policy with 4 rate increases totaling 100 basis points, while the long end of the curve (10-year UST) only increased 28 basis points. Heading into 2019, there are some underlying issues bubbling with this flattening yield curve that could potentially hurt bank profitability. Prime-based, floating rate loans should continue to see the benefit of the Fed’s action, but longer-term loans will continue to be subject to pricing pressures from both the yield curve and the competition. In addition, bank deposit betas are on the rise. For a long time, banks were able to lag the increase in their funding costs as the Fed increased rates, but towards the end of 2018 this trend came to an end, and costs began to rise. So, what’s the best way to respond to ensure you stay in control of your bank’s profitability? The answer: Proper loan and relationship pricing discipline. We analyzed our LoanPricingPRO® customer base to determine if using a pricing model has helped to maintain an edge on the industry. To do this, we looked at 3 metrics over a one-year period from 2017 to 2018. These included Loan Yields, Cost of Funding, and the resulting Yield/Cost Spread. LoanPricingPRO® clients were compared to all commercial and savings banks with Total Assets between $300 Million and $5 Billion. 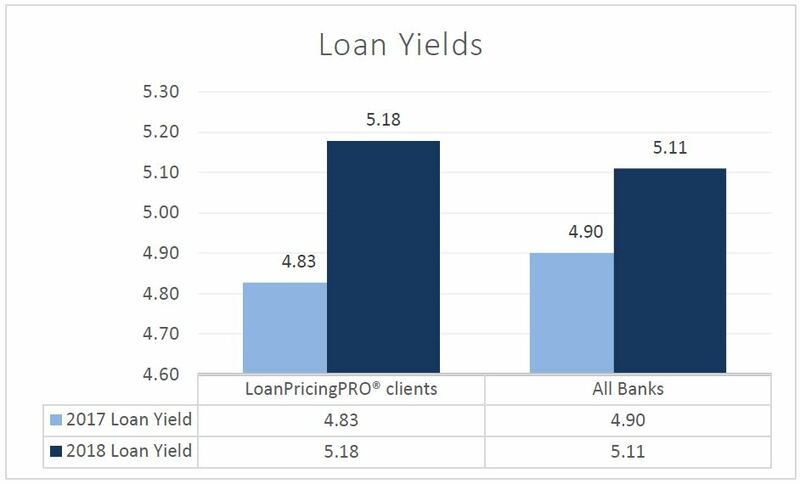 On average, LoanPricingPRO® clients experienced a 35-basis point increase in loan yields compared to an industry average of 21-basis points, boosting profitability over the industry by 14-basis points. 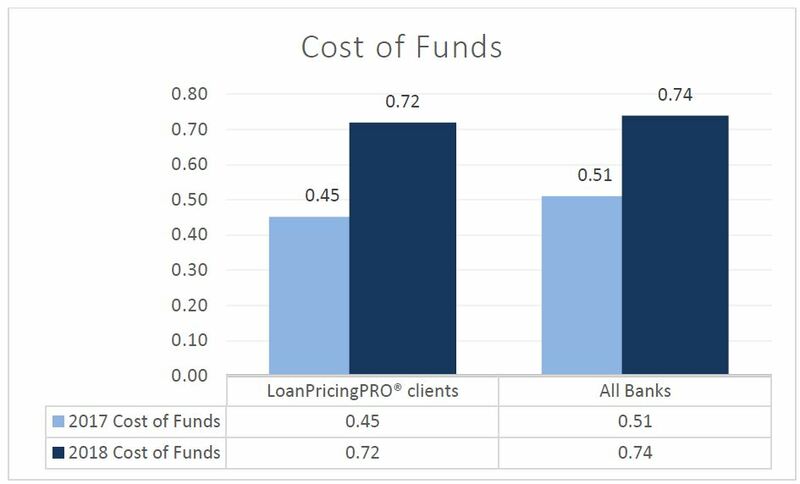 On average, LoanPricingPRO® clients experienced a 27-basis point increase in funding costs compared to an industry average of 23-basis points, hindering profitability against the industry by 4-basis points. 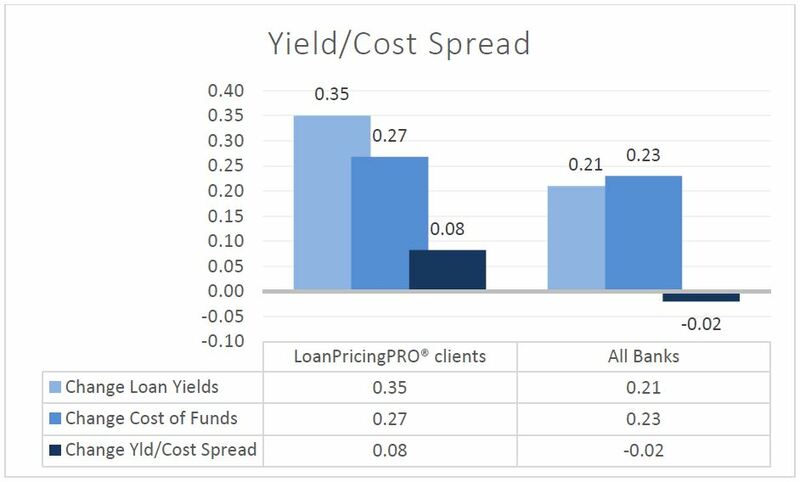 On average, LoanPricingPRO® clients experienced an 8-basis point increase in their Yield/Cost spread compared to a decrease in the industry of 2-basis points, resulting in a 10-basis point improvement compared to their peers. LoanPricingPRO® users have a tool in place that allows them to respond to the everchanging environment. Armed with the insight provided by the model, they were able to beat the industry by 10-basis points over the last year. For every $100 million in balances, this equates to $100,000 in profit. Contact us today to schedule a demo and learn how we are helping institutions every day improve their profitability.